I honestly never thought that sauerkraut could possibly be a ‘health food,’ especially since it is often served with stodgy sausages of varying kinds or on top of hot dogs. I mean, I did know that it was a low fat, low calorie food. But I didn’t realize it could possible have significant food value! But the more I’ve looked into it, the more sauerkraut impresses the crud out of me. Usually made out of only two ingredients (cabbage and salt, though sometimes with vegetables are included, too), it’s the fermentation process that really produces copious nutritional benefits. Of course, as with all probiotic foods, home made versions, done properly, are much better for you than store bought ones. The less fermented foods are fussed with and heated and processed, the better. Too much handling or heating kills beneficial bacteria and microorganisms. Fermented sauerkraut is rich in Vitamin C, A, E, B and digestive enzymes. It’s also a great source of lactic acid bacteria such as pediococcus and lactobacillus (which is the probiotic element). Apparently, the juice from sauerkraut is also supposed to be helpful in addressing gastrointestinal issues, like constipation and diarrhea. It’s also supposed to be something of a flu preventative and possibly even help reduce allergy symptoms. So how about a recipe? It’s a process that takes time, though it isn’t difficult to do. But you must be patient as the process of fermentation isn’t instantaneous and is what produces the health benefits we’re looking for. Non-reactive container, such as a ceramic crock or food-grade plastic bucket, at least one gallon or greater in capacity. Clean plate to fit snuggly inside the container of your choice. Spotlessly clean weight of some sort (Clean jug filled with water works well). As you go, layer cabbage and sprinkles of salt in the large bowl. The salt will begin to pull out the water in the cabbage and will become the brine that the cabbage will ferment in. When all is shredded and salted, begin to pack it into your fermenting container. After you add each layer, you must tamp it down well. The end of a solid wood rolling pin works well for this. The tamping not only makes sure the sauerkraut is tightly packed, but it also helps to force the water out of the cabbage. 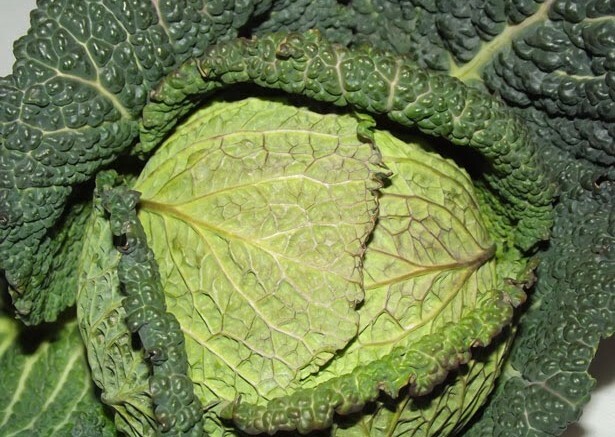 When the cabbage is all well packed, place the clean plate on the top of the cabbage and weigh it down with a heavy, clean, weight to keep the cabbage submerged in the briney juice that it rendered. Cover the entire thing with a cloth, making sure that there are no gaps for bugs to enter. Every few hours, gently press down on the weight through the cloth to keep pressing the water out. It should continue to rise until it comes above the plate. After 24 hours, check to ensure the liquid has, indeed, come above the level of the plate. If it hasn’t, add salt water in the ratio of one teaspoon per cup (well dissolved) until it does. Place your crock/container in a cool, dark place to ferment. If the room temperature where you’re storing your fermenting sauerkraut is an average of 75 degrees, you need to allow about 3 weeks for fermentation. If the temperature is approximately 70 degrees, allow about 4 weeks. If the temperature averages 65 degrees, you’ll need to allow 5 weeks. If 60 degrees, allow 6 weeks. Of course, this is partially down to personal taste so taste as you go. Begin to check the sauerkraut after two days, and then every day after that. If surface molds appears, don’t despair. Skim off as best you can and clean the plate and weight before replacing. Your sauerkraut should be tangy, but pleasant. When you are happy with the flavor, pack into sterilized jars, apply tight lids and store in the fridge. Be the first to comment on "Sauerkraut: Probiotic Foods"